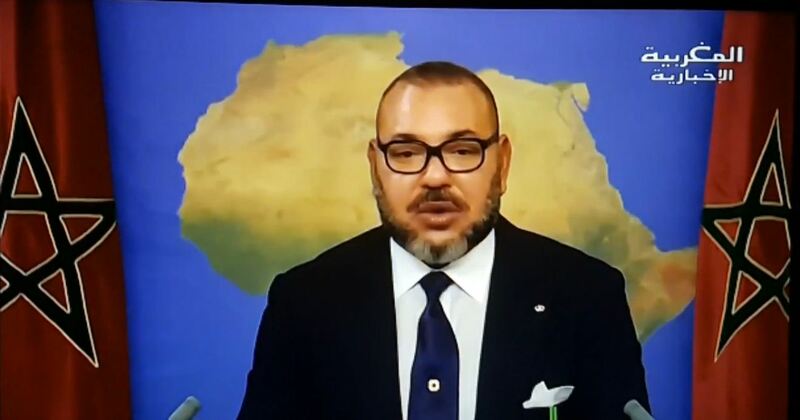 King Mohammed VI has renewed on Sunday evening his unwavering attachment to Africa and his keen interest in the continent and pledged to see to it that Morocco’s African policy acquires a continental dimension and covers the whole of Africa. The Sovereign underscored Morocco’s African policy and the outcome of Morocco’s solidarity-based field action in a number of African countries, in terms of economic and human development aimed at serving African citizens, saying that Morocco’s recent decision to return to the African Union (AU) will further enhance this policy. Morocco has officially applied last July to reintegrate the AU, the predecessor of the Organization of African Unity, wherefrom it withdrew in 1984. Its application was distributed to the AU members last Friday. “In addition to cooperation at the bilateral level and with regional groupings, this return will enable our country to adhere to sectoral development strategies in Africa and actively support and enrich them thanks to the outstanding experience Morocco has gained in various fields,” he said, adding that Morocco’s return to its institutional family will enable his country “to help make the voice of Africa heard in international forums” as far as the continent’s major issues and problems are concerned. This return will also enable Morocco “to further strengthen its commitment to finding objective solutions to these issues, bearing in mind African peoples’ interests and particularities,” the Sovereign said, expressing his personal resolve to further contribute to consolidating security and stability in the various war zones and hotspots and to finding peaceful solutions to conflicts. Being aware that so many African countries are challenged by the phenomenon of migration, the Moroccan King also vowed to help them address the problem. “As far as migration is concerned, our country will continue to strive to deal with the real causes of the phenomenon and link it to development, within a human, solidarity-based approach which upholds migrants’ rights and preserves their dignity,” he said. “Accordingly, I have called for an African summit to be held on the sidelines of this conference in order to develop a common vision to uphold our continent’s demands, particularly in terms of funding and transfer of technology,” he said. The Sovereign recalled, in this respect, his recent visits to Rwanda and Tanzania, and announced that Morocco will open a new chapter in its relations with Ethiopia, which will be the first stop in a second part of his African tour that will take him to several Sub-Saharan countries in connection with Morocco’s return to the African Union. Written by: Peter Mulvany on November 7, 2016. Posted by Peter Mulvany on Nov 7 2016. Filed under Headlines, World News. You can follow any responses to this entry through the RSS 2.0. Both comments and pings are currently closed.